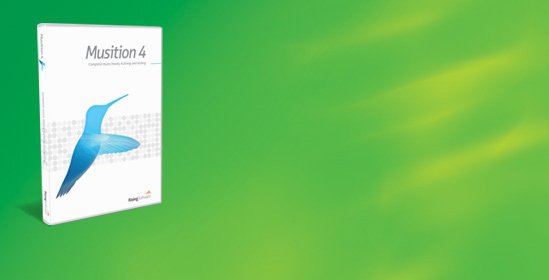 Musition 4, Educative Software from Avid. Designed for musicians of all levels, Auralia and Musition offer drill-based, interactive instruction through versatile but structured exercises, and give users instant feedback to their performance so they can achieve maximum potential, according to Avid. 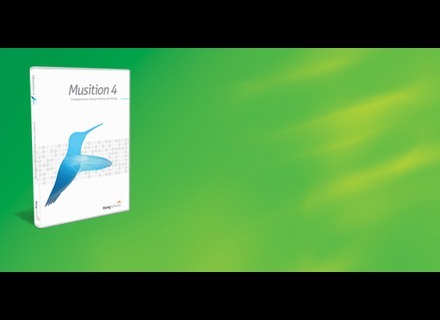 Both programs also offer Solfège support, and include customizable syllabi from AP Music Theory and Trinity Guildhall.For the first time, Auralia and Musition are available for both Windows and Mac OS X platforms with the same feature set. Auralia and Musition are available now. They are English language only, and priced at $149 USMSRP each when purchased separately and are offered together as a bundle for $249 USMSRP. Student and multi-seat discounts may apply. Find out more information and download demo versions for Auralia at www.sibelius.com/auralia, and Musition at www.sibelius.com/products/musition/index.html. Native Instruments Scarbee Vintage Keys Native Instruments has just introduced Scarbee Vintage Keys, a new set of software instruments designed to provide renditions of legendary electric pianos, for use in KONTAKT 4 and the free KONTAKT PLAYER. Camel Audio Biolabs & Junkie XL Camel Audio has released two new soundbanks for the sample manipulation synthesizer Alchemy. Drums On Demand Odd-Time Odyssey Odd-Time Odyssey is a collection of odd-time signature drum loops in Song Sets.